I don't believe this! An entire film hovering on the predicament of a father who is not able to distinguish his own son from another child who is just as cute!! Ridiculous! And I thought Parvarish would have more meat to it! Frankly speaking, I was quite keen to watch this 1958 drama. Not only because it stars some famed names in the field of acting, but also the story read interesting. A couple's new-born gets mixed up with an illegitimate baby in the hospital nursery. Though the father is distraught at not being able to identify his child and being forced to take home both the babies (the illegitimate's mother has passed away during childbirth), the mother is more than happy and loves both babies. As the boys grow up, there is more tension when society castigates the father for nurturing an illegitimate child as his own. Things really get serious till a solution is thought of by one of the boys. Thakur Jaswant (Nazir Hussain) and Rukmini (Lalita Pawar) have a baby boy after several years of marriage. Justifiably, the couple is over the moon. But a freak fire accident mixes their baby up with the baby of a courtesan. 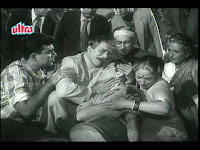 After repeated attempts, the doctors cannot help in telling the Thakur which one is his own baby. This shatters the respectable man as he considers it a cruel blow of fate. Since he might run the risk of taking the wrong baby and maligning his image in society, he is forced to take both the babies home. His wife, Rukmini, however, never distinguishes amongst the infants. She rears them up with the best of teachings and makes them two fine happy-go-lucky men. The Thakur's relentless turmoil over the true identity of his own son is really exasperating. All the time the director, S Banerjee, brings him on screen, he talks about his misfortune and ill luck. Mister, why can't you forgive and revel in the happiness of seeing your boys growing up. I'd say, the boys get more love from their mother and from Banke Mama, a shirker who nicely cosies up to the comforts of this rich household. But while he is cheeky enough to irk the owner of the house, he actually reveals his love for both the boys through many of his actions. Banke (played by Radhakishan, definitely one of my favourite supporting actors), wriggles into this household after declaring that he is the maternal uncle of the illegitimate baby. So, technically he too cannot choose his nephew. Rukmini accepts him as his own brother and allows him to stay at this house so that he can be near his nephew. What the thakur should have learnt from this slacker is how to not mull over the past and accept the future. That the boys love him is evident at how they tease him lovingly and use up every chance to go and meet him when he leaves this house. Banke too, loves both the boys never once discriminating against them. The first problem with the film is that the director has taken some very big names but didn't manage to do justice to their characters. For instance, a talented man like Nazir Hussain cannot be shown to be so uni-dimensional. Raj Kapoor is too clever and attractive a personality to be wearing these soppy shoes. 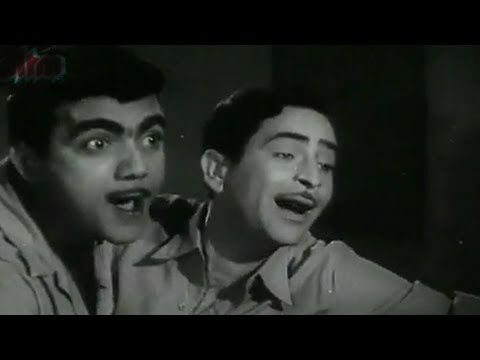 Mehmood is too good with his comedy to be just here as a silent spectator. 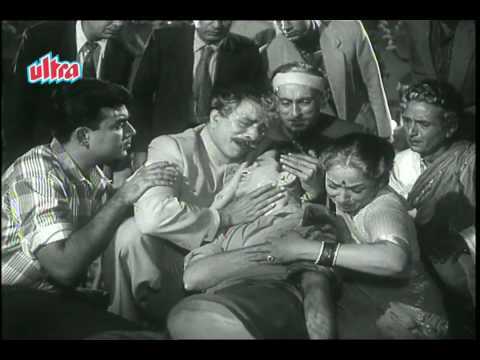 Mala Sinha is another talent that goes wasted. Though she looks good, I was expecting so much more from her. 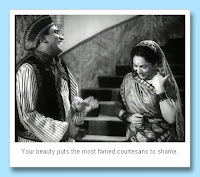 The only two characters who intrigued me were Radhakishan and Lalita Pawar. Radhakishan is as usual razor sharp with his wit and expressions. But here, he has a warm side to him. And Pawar plays a loving and doting mother here, something that not many of us are prone to seeing. She even looks lovely in the song Jhumey re (great music by Dattaram). I haven't watched Parvarish, but I remember reading bollyviewer's review of it - she hated it too! I just had a re-look at her post on the film, and she ends with a "you've been WARNED! Watch at your own peril." Now I'm certainly never going to watch this one. As it is, I find Raj Kapoor rather iffy. 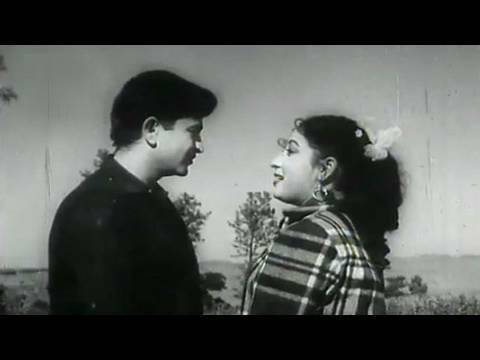 BTW,the screenshot with Radhakrishan and Lalita Pawar is from bollyviewer's blog, isn't she? I can read her trademark captioning under it too... you might like to give credit. @Dustedoff: He he... I think it has done that to me tooo.. But how do i stay away from them!?!?!? The aim of the film wasn't bad, though they took the easy way out with the use of clichés to solve problems, especially the way 'equality' was restored. But I thought that the film tried to make a powerful socially relevant point about not judging people by their birth. What I found sad was that they should have been more compassionate towards the people of the kotha. It was nice to see Lalita Pawar in that role. I didn't mind the film, though the two fathers were beginning to get monotonous. And of course after having read about Sheela Vaz over at Richard's I was excited about her two dances so different, one western and the other on the kotha. 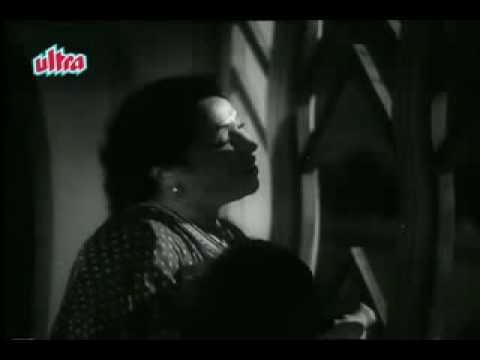 @Pacifist: I remember seeing Sheela Vaz in the Kotha song. But I think the Beliya number was picturised on some other dancer. I think so. This was surely remade as 'mere do anmol ratan' in 97-98.There are many similarities. 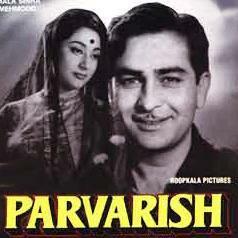 If Raj Kapoor is clever and attractive (who calls him that anyway? )wonder what Shammi Kapoor is? @Chris: Hi Chris, how are you?